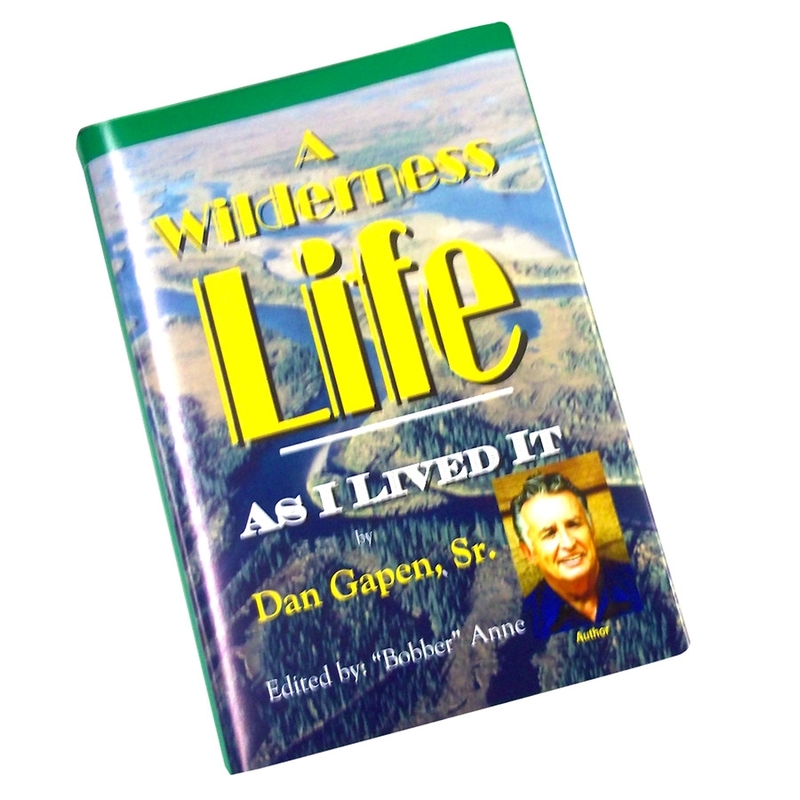 NOTE FROM DAN GAPEN, Sr. In this book I take my readers back to my early years when my family lived off the land; when harvesting a moose each fall was a necessity to sustain life through the frigid winters of the north. A life which saw the collection of firewood for the warmth of a puffing Airtight stove to protect my family on cold winter nights. A world where the gathering of trout and whitefish for smoking would provide nutrition during the long months of winter. Mine was a world of grunting moose, fearless bears, haunting loon calls, broken fishing lines, wolves howling, thundering river rapids, ratcheting calls of sand hill cranes and the whisper of aspen leaves in a fall breeze. Enjoy my tales of yesterday when life depended on the wisdom of ancient natives, with the ability to survive a rampaging winter storm. Come with me as I relate the tales of head-butting muskox and the clicking of thousands of arctic caribou hooves as they scurry across tundra rock. Let me tell you of fishing trips in South America�s eerie waterways where the roar of jungle cats interrupted an evening outing. Hopefully you will find in each chapter a story to connect you with nature and draw you into a world without computers, cell phones and modern gadgetry. Its based in a time where humans faced life�s challenges in a very different way. As you read, stroll through the 69 pages of ancient and recent photographs which strengthen the stories therein. Finally, I wish to thank you, my readers, for your support over the years; without you I could not have brought my stories to light. Relax, Savor and Enjoy our great outdoors. This book, A WILDERNESS LIFE AS I LIVED IT, is by far the best writing Dan has ever done. Dan has included a publisher�s note from the back of the book as well as an inside cover. The book is 622 pages - as you read, stroll through the 69 pages of ancient and recent photographs which strengthen the story and pages therein. The book contains two sections (24 pages each) of colored photos, and 36 pages of black and white photos. It has 67 chapters which take the reader from my early experiences in the wilderness of Canada to more modern adventures throughout the Americas. Tales of monstrous fish fought and landed �marauding Cayman of South America---exciting waterfowl hunting---conflict between moose and wolves---canoeing the whitewater rapids of the Arctic---as well as the creation of the original Muddler fly by Dan�s father at Virgin Falls on the Nipigon River. `These, as well as stories of wilderness regions still unexplored, come to light in this Brand NEW manuscript. 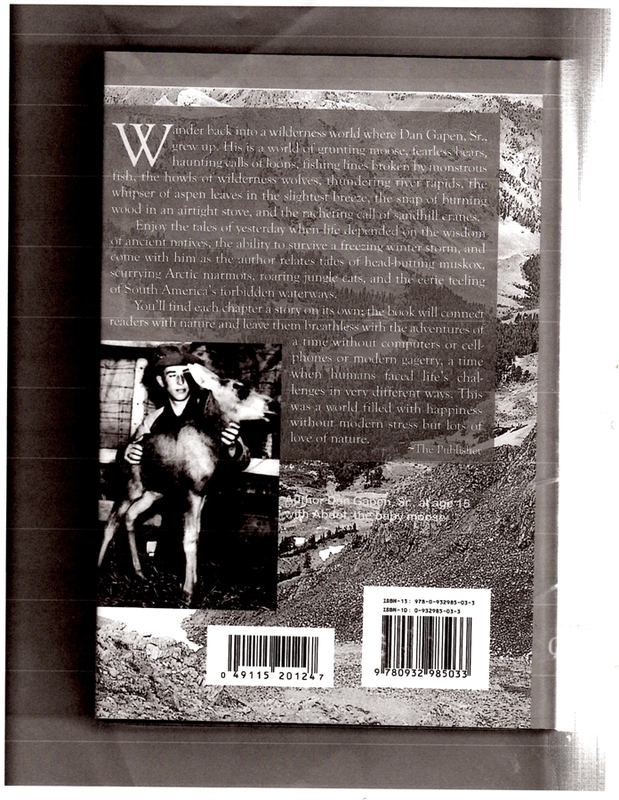 The book is 719 pages, contains two sections (24 pages each) of colored photos, and 69 pages of black and white photos. It has 67 chapters which take the reader from my early experiences in the wilderness of Canada to more modern adventures throughout the Americas. If you want to order a special gift - get this book in a limited edition numbered autographed version which will be a keepsake collectible.